No single entity should have unilateral say over how 2 billion people connect and communicate. 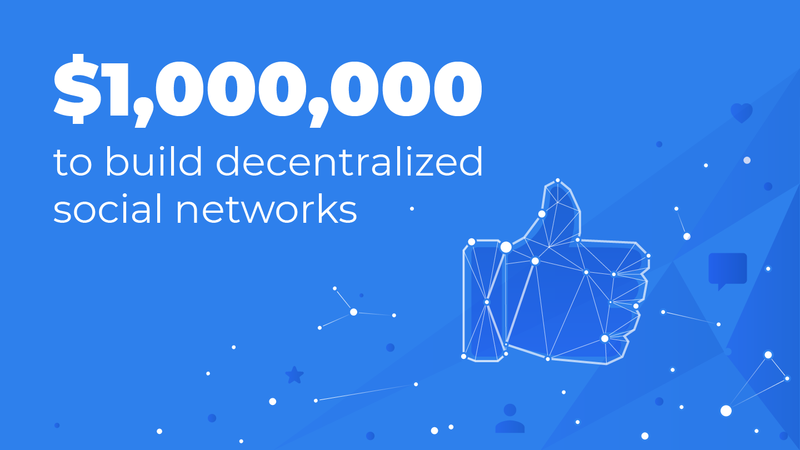 We believe the future of social networking should look like a constellation of compatible social networks, that emphasize privacy and security and put the user first. That’s why Blockstack Public Benefit Corporation has committed $1M to funding decentralized social networks. Starting today, we’re taking applications from developers committed to restoring control and freedom to users. There are virtually no limitations on the types of networks we’re looking for or audiences they should serve. You could build an uncensorable microblog, or enforce community curated blocklists. We’re looking for teams or people to show the possibilities of freedom and choice on the Internet. To learn more and apply, visit requestforsocialnetworks.com.